When was the last time you had your carpets professionally cleaned? If it’s been a while, contact iSteam Carpet Care. We’ll send a courteous, trained professional with state-of-the-art equipment to effectively cleanse your carpets and rugs with safe, natural cleaning solutions. If you like, we can apply a natural carpet protector. Some Baltimore carpet cleaning companies use noxious chemicals. We never do. Our innovative cleaning process employs steam to dissolve dirt. Once the soil is loosened, we use gentle suction equipment to lift away the grungy stuff and reveal your carpet’s true colors. An application of proprietary iSteam carpet protector will help keep your valuable rugs looking good between cleanings. 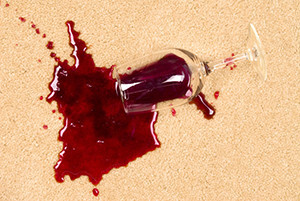 If the most you do for your carpets is give them an occasional once-over with a vacuum, they are not deep-down clean. A household vacuum cleaner is fine for removing surface dust, but there is no way it can remove ground-in soil or remove troublesome stains. The best way to protect your investment and return your rugs to their former glory is to hire a specially trained iSteam professional carpet technician. Have you walked around barefoot lately? A perfectly clean carpet feels wonderful between your toes. If your rugs don’t feel fabulous when you walk on them barefoot, give us a call. A friendly customer service representative is waiting to take your call. We are iSteam Carpet Care, and we do wonderful things with residential carpets.